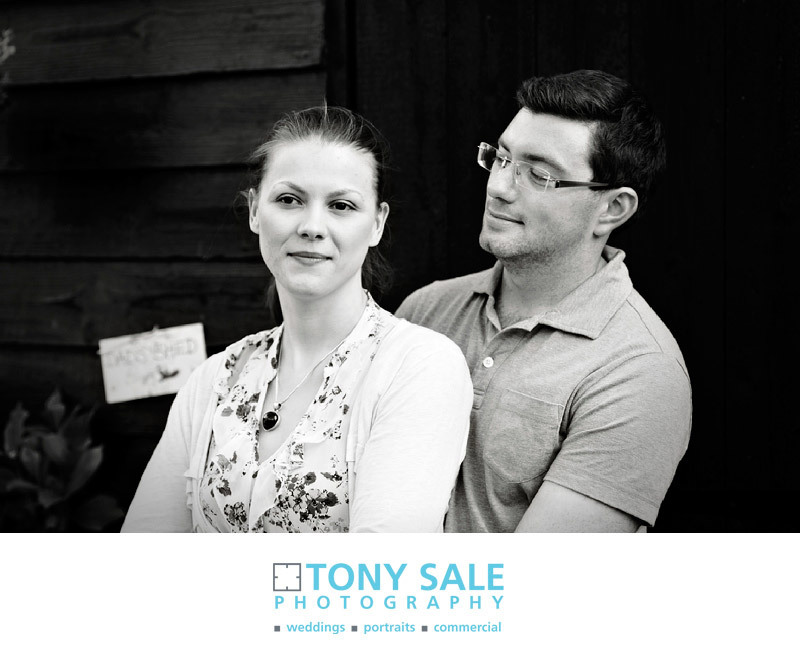 Caitlyn and Ashley live in the lovely town of Braintree here in North Essex, however Ashley works in the delightful nearby village of Gosfield and it’s here that we decided to do our pre wedding photo shoot. If you follow my blog then you will know I always speak highly of Gosfield, and if you follow my blog then you will also know the reason why – it’s because I live here! Gosfield has so many great features and makes an ideal location for a pre wedding photo shoot. It has fields, a nature reserve, ponds, houses with pink walls, blue doors, playing fields, a sports pavilion and to top it all Ashley’s dad has a garden which is absolutely bursting with beautiful, colourful flowers. 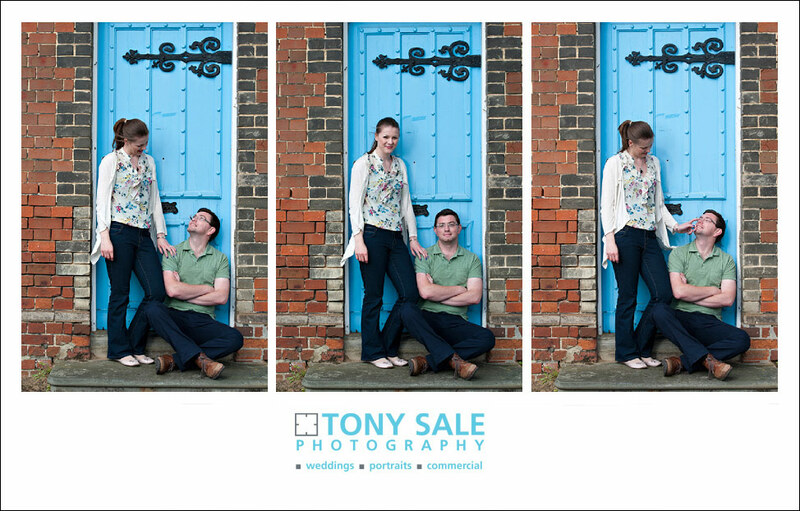 The photo shoot was a great opportunity for the three of us to get to know each other before their wedding which was to be at St Catherine’s Church, which also happens to be in Gosfield, later in the year. Although it was quite windy the sun was shining and it was a glorious day. Caitlyn and Ashley are such a lovely and loving couple; it really was great to work with them. Although they were both a bit self-conscious at first, they were also very willing and enthusiastic and totally immersed themselves in the photo session. 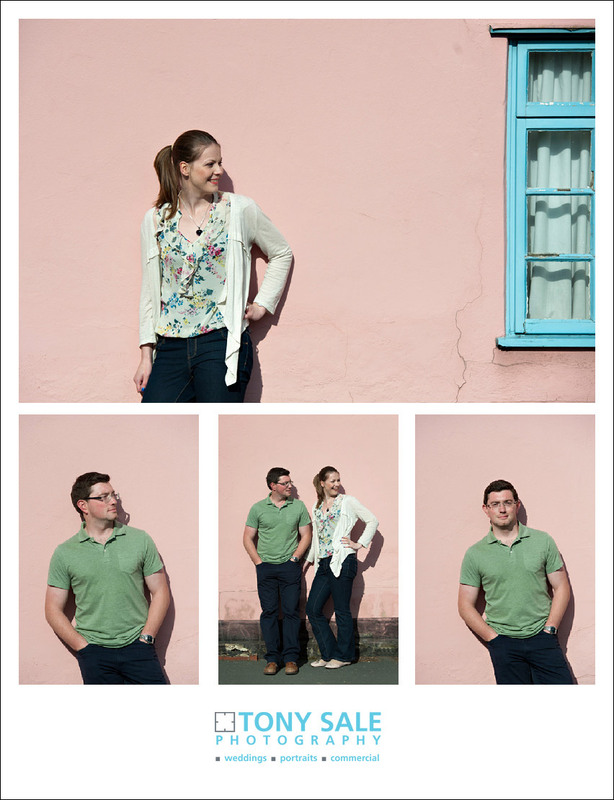 We managed to photograph in a number of different locations and included some portraits against brightly painted walls, a romantic stroll across the playing fields and a rehersal of their first dance. 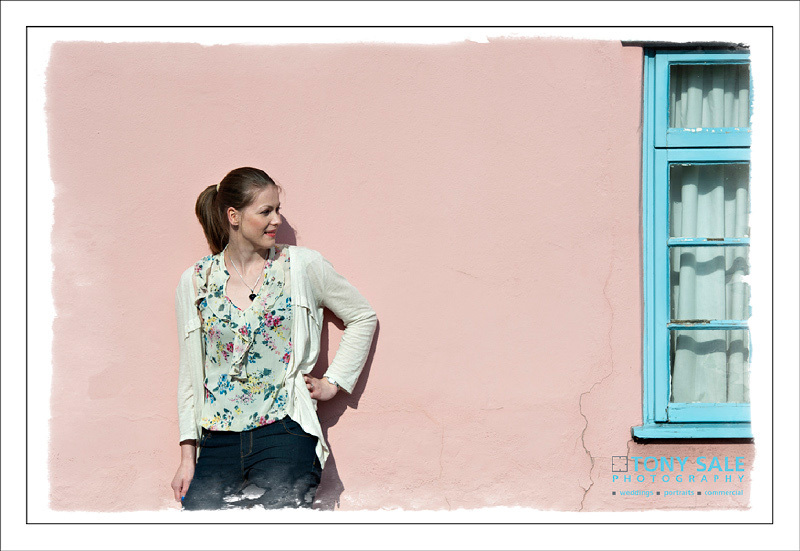 They both fully enjoyed the shoot and were absolutely delighted with the photos. 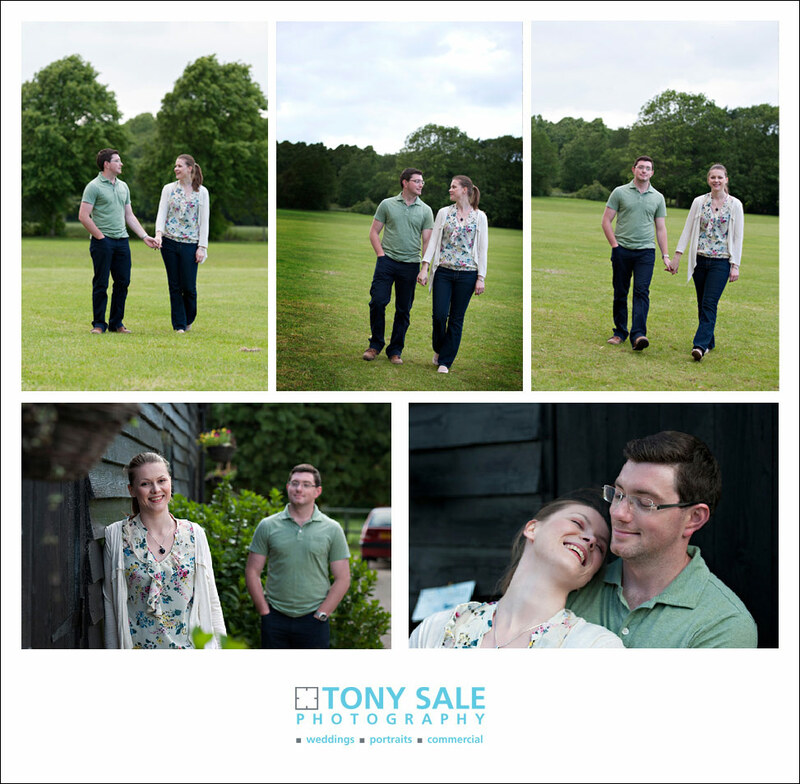 It was also pretty obvious that they had benefited greatly from the pre wedding photo shoot, they became increasingly relaxed and more natural as the afternoon went on and it was clearly a huge help for the big day itself. If you are planning to get married and would like to discuss your wedding photography then please do not hesitate to contact me on 01787 474923 or via the contact form.